Earth is facing a catastrophic species extinction crisis. The dominant approach to conservation has been to focus on protecting pristine environments, but new research from Australia demonstrates that on average, urban environments contain disproportionately more threatened protected species in a given area than non-urban environments. "Our results show that to tackle species extinction we can no longer afford to ignore the places where most of us live and work," said Dr. Christopher Ives, co-lead author of the Global Ecology and Biogeography study. "In Australia, every city has a role to play in safeguarding the country's most threatened biodiversity." 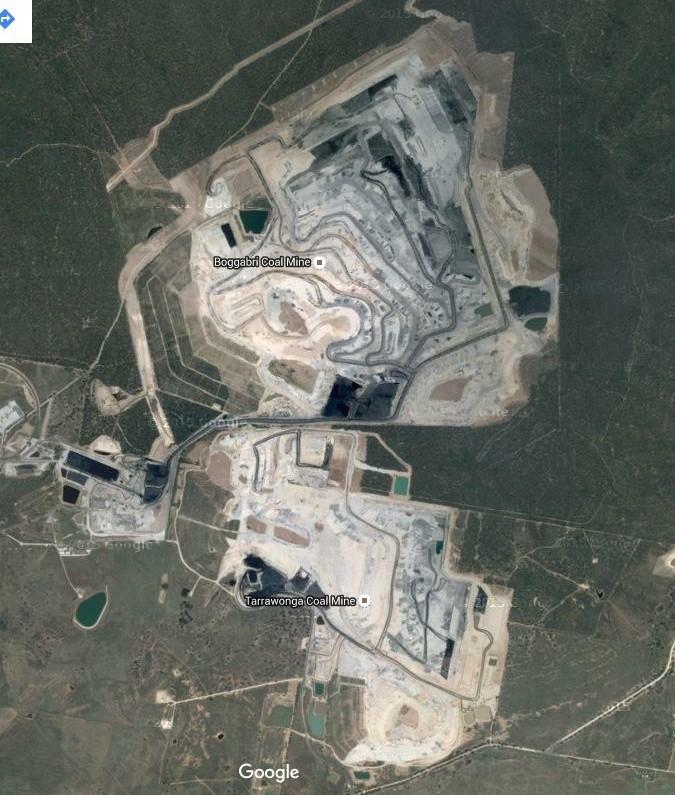 The NSW Environment Protection Authority (EPA) is investigating an incident involving an unknown amount of coal fines washed from a stock pile at the Russell Vale Colliery near Wollongong, entering Bellambi Creek and making its way down to the lagoon at Bellambi Beach. The incident was reported to the EPA this morning by Wollongong Coal. EPA officers inspected the Colliery and Bellambi Creek and have also collected a large number of water samples. Wollongong Coal have taken steps to prevent any further material from escaping but the next steps will involve determining the extent of environmental damage and measures required to mitigate its impacts. The EPA is also collecting evidence to determine potential breaches of environmental legislation and has directed Wollongong Coal to provide an incident report. The EPA has notified Wollongong City Council and local Health Authorities as a precaution, although the risk to human health is considered to be very low. The NSW Environment Protection Authority (EPA) has confirmed that over 163 tonnes of coal fines have been removed from 4.3 kilometres of the Wollangambe River following the spill from Clarence Colliery in July 2015. Acting Chief Environmental Regulator Gary Whytcross said Centennial Coal’s clean-up has removed 163.2 tonnes of wet coal fines from the river as at 30 November. The EPA recognises that this is painstaking work given the rugged terrain around the site but this means that the bulk of the material has been removed from approximately two thirds of the river affected by the spill,” Mr Whytcross said. “The key focus of the clean-up to date has been to remove the bulk of the coal fines from the river without spreading the material further downstream. “The EPA shares the community’s concern about the impact on the Wollangambe River and has been monitoring the clean-up closely, conducting some 30 inspections of the spill site and River so far. “These inspections have identified the need for more work on some of the ‘cleaned’ sections, which will be removed on a second run once the bulk of the material has been removed. Mr Whytcross added, “The Clean-up notice requires Centennial Coal to continue the clean-up until the EPA is satisfied that no more material can be recovered without further damaging the environment. “Control structures have also been installed at five places on the Wollangambe River, including immediately downstream of the clean-up location to trap coal fines moving downstream, which can be mobilised during clean up. To date the EPA has not observed accumulated coal fines at the control structure at the 7.8 kilometre point, including following a recent storm. “The EPA and NPWS is very grateful to bushwalkers who have identified and reported deposits of coal fines back to the EPA. We encourage these groups to continue to provide any information they have which will assist the clean-up. Information can be reported to the EPA’s 24-hour Environment Line on 131 555. “The EPA’s legal investigation into the cause of the spill is ongoing”, Mr Whytcross said. A proposal to construct a new sand quarry in Cabbage Tree Road, Williamtown will be on exhibition from today for community feedback. roads for site access; an office; amenity buildings; weighbridge; staff and visitor parking; maintenance shed; transport processed material off-site via public roads; progressively rehabilitate the site. Submissions can be made from Friday 4 December 2015 until Monday 1 February 2016. Nature Conservation Council, Level 2, 5 Wilson Street, Newtown. A proposal to construct a borefield at the Boggabri Coal Project, 15 kilometres northeast of Boggabri is on exhibition for community feedback. 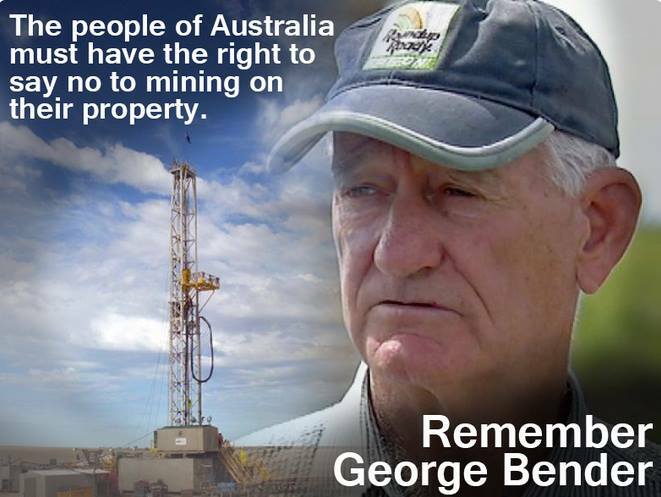 The proposal will allow the company to extract groundwater for its nearby Boggabri coal mining operations. The Department of Planning and Environment is keen to hear the community’s views on the application which seeks to construct a borefield and associated infrastructure including power lines, water pipelines, storage tanks and transfer pumps. Submissions can be made from Tuesday 1 December until Tuesday 15 December 2015. This Environmental Assessment (EA) has been prepared to support an application under Section 75W of the Environmental Planning and Assessment Act 1979 (EP&A Act) to modify PA 09_0182 to include additional activities and ancillary infrastructure that is required as part of ongoing operations at the BCM. These include conversion of existing test bores to operational production bores and the installation of ancillary infrastructure located on agricultural properties in areas adjacent to the mine. Planetary scientists would be thrilled if they could peel Earth like an orange and look at what lies beneath the thin crust. We live on the planet's cold surface, but Earth is a solid body and the surface is continually deformed, split, wrinkled and ruptured by the roiling of warmer layers beneath it. The recordings the instruments made of the reverberations of distant earthquakes from January 2010 to January 2012 were used to create maps of seismic velocities beneath the rift valley. An analysis of the maps was published online in the Journal of Geophysical Research: Solid Earth. This is the first time seismologists have been able to deploy instruments rugged enough to survive a winter in this part of the frozen continent, and so this is the first detailed look at Earth beneath this region. While heat flow through Earth's crust has been measured at at least 34,000 different spots around the globe, in Antarctica it has been measured in less than a dozen places. In July 2015, scientists reported the heat flow at one of these spots was four times higher than the global average. The GCP 2015 report is underpinned by a full data and methods paper published today in the journal Earth System Science Data, with two associated papers in the journalNature Climate Change. Graph showing the annual carbon dioxide emissions from fossil fuels and industrial processes since 1990. 2014 saw slowed fossil fuel emissions growth and 2015 has a projected decline from the previous year. For more information on our assessment of the Earth system visit ourwebsite. The Capricorn-Bunker region in the south of the Great Barrier Reef (GBR) is showing excellent signs of coral recovery, according to the latest results of the AIMS Long Term Monitoring Program. Coral cover for the area has more than doubled since being dramatically reduced during severe storms in 2008 and Tropical Cyclone Hamish in 2009. Despite the improvements to the regions’ coral cover in recent years, hot conditions are forecasted for this summer and a coral bleaching event is predicted. A bleaching event would likely halt further recovery, or cause widespread coral death. Disturbance events such as cyclones and storms are natural processes for coral reef communities, however there is concern that cumulative impacts are reducing 'reef resilience', or 'the ability of reefs to recover from such disturbances'. Pressures such as reduced water quality, increased water temperatures and crown-of-thorns starfish are all straining the ability of coral reefs to recover from disturbance events such as cyclones. With reef data extending over 20 years, the AIMS Long Term Monitoring Program provides an invaluable record of change in coral reef communities over a large geographic area. Several trips are completed each year and full reports are available here. For access to the October 2015 survey report for the Capricorn-Bunker sector, click here. The potential for a UK-style national lottery to benefit Australia's magnificent heritage is among a range of new opportunities outlined in the Australian Heritage Strategy, released today. The strategy sets out the Australian Government's priorities over the next decade and the actions it will take to support and promote our remarkable natural, historic and Indigenous heritage. I am proud to release the Strategy today at the iconic Sydney Opera House. Commitments in the Strategy include a more creative online presence for national heritage listed sites to raise awareness of the fascinating stories connected with our heritage places. There will also be renewed focus on encouraging partnerships to boost tourism opportunities in the heritage sector and on fostering heritage skills and training to address the shortage of skilled workers. A range of innovative new funding sources will also be explored, including the feasibility of adapting the United Kingdom's national lottery model, which this year alone generated a staggering $780 million (375 million pounds) for heritage projects across the UK. Protection of Australia's national and world heritage is a fundamental pillar of the Government's environment policy and support for the development of an Australian Heritage Strategy was announced in November 2013, just two months after the Coalition took office. Our natural, Indigenous and historic heritage enhances our sense of place and national identity and makes a positive contribution to the nation's wellbeing. Australia's world and national heritage places also create strong economic returns for their owners and managers, as well as surrounding communities. A study of 15 World Heritage sites in Australia found that the economic benefit of these sites amounted to $15.4 billion in annual turnover and over 79,000 direct and indirect jobs. This strategy highlights the need for heritage management to be a shared responsibility between national, state and local governments, private owners, businesses and the local community. The Australian Heritage Strategy reflects the time, ideas and passion of the many people who contributed to its development and I thank them for their considered contributions. The 103 places on our National Heritage List reflect our journey as a nation. It contains places that capture the diversity of stories that have helped shape our nation and inform our sense of self. I am pleased to announce that nominations for new places to be included on the National Heritage List are now open. I encourage communities to look at their most significant heritage places and consider if they would like to make a nomination. Nominations close on 18 February 2016. The historic sheep and cattle grazing Queensland town of Barcaldine will be home to a new big solar farm, creating jobs in the region and boosting large scale solar in Australia. The Australian Renewable Energy Agency (ARENA) is providing $22.8 million support towards the construction of Barcaldine Remote Community Solar Farm, a 20 MW AC (25 MW DC) single axis tracking solar plant. “Fringe-of-grid locations in regional Australia face a number of challenges with reliability and outages caused by network constraints and a lack of infrastructure,” Mr Frischknecht said. “There is a clear value proposition for large-scale solar in the Barcaldine area, which has an excellent solar resource and experiences voltage and frequency control issues as well as load management challenges. “A new solar farm will help alleviate peak demand pressures and provide voltage control, resulting in more reliable power supply to customers in the region. “The potential for added battery storage to create additional network benefits will also be explored. This could allow the solar plant to work in tandem with the existing gas plant during a line outage, operating as an ‘island’ network independent to the main grid. “This project will serve as a test case showing how the network benefits from distributed renewable energy can improve network efficiency, and potentially enable solar plants to access an extra revenue stream through network support payments. “Up to 175 jobs are expected to be created during construction, with the early works being carried out by employees from the local community. The $69 million project is due for completion in April 2017. The Clean Energy Finance Corporation has committed $20 million in debt finance towards the project. Barcaldine Regional Community Solar Farm is 100 per cent owned by Elecnor. Elecnor is one of Spain’s leading companies in engineering, development and construction of projects relating to infrastructures, renewable energies and new technologies. Elecnor is listed on the Spanish stock exchange with a turnover of around $3 billion. With more than 58 years of experience, Elecnor has a global presence in more than 40 countries and employs over 12,500 professionals. Elecnor Australia is currently constructing 70MW Moree Solar Farm (NSW) and is an active player of the solar industry in the country. The Clean Energy Finance Corporation (CEFC) invests using a commercial approach to overcome market barriers and mobilise investment in renewable energy, energy efficiency and low emissions technologies. Since its inception, the CEFC has committed over $1.4 billion in finance to investments in clean energy projects valued at over $3.5 billion. The CEFC invests for a positive financial return, with more than 55 direct investments. These projects help to improve energy productivity for businesses across Australia, develop local industries and generate new employment opportunities. The Minister for the Environment, the Hon Greg Hunt, and Ms Aida Greenbury, Managing Director of Sustainability at Asia Pulp and Paper Group, today announced the establishment of a Private Sector Roundtable to harness private sector expertise on protecting rainforest ecosystems in the region. The Asia-Pacific region is home to one of the three largest rainforest basins in the world. Community, business and political will is building to find better ways to maximise the economic, social and environmental benefits of the Asia-Pacific's rainforests. Following the successful Asia-Pacific Rainforest Summit held in Sydney in 2014, the Australian Government has been leading efforts in the region to slow, halt and reverse rainforest loss. Speaking at the Global Landscapes Forum in Paris, Minister Hunt and Ms Greenbury announced that the Roundtable would form a crucial allied but parallel process to the next Asia-Pacific Rainforest Summit, to be hosted by Brunei in August 2016. "Any serious effort to address deforestation must engage with the private sector. We need to better understand the drivers of deforestation and seek out the best ideas for continuing economic growth while preserving these special places," Minister Hunt said. "Similar to the B20, the group of business leaders that works in parallel to the G20, the Private Sector Roundtable will develop recommendations for consideration at the next Asia-Pacific Rainforest Summit." "This is a world-first approach to understanding and managing the conservation of forest ecosystems in the Asia-Pacific. Having a person of the calibre of Aida Greenbury as Chair gives me great confidence that the Roundtable will make a huge contribution to our goals to reduce rainforest loss in some of the most important forest areas in the world," Minister Hunt said. "I am honoured to have been asked to be inaugural Chair of the Private Sector Roundtable to the Asia-Pacific Rainforest Recovery Plan," Ms Greenbury said. "I believe economic development can exist in harmony with efforts to protect and restore rainforests within the Asia-Pacific region. This confidence comes from my own experience and journey taken by Asia Pulp & Paper Group, one of the world's largest paper and pulp producers, from a previous reliance on natural forests to sourcing 100% of our fibre from plantation wood almost three years ago." "The Roundtable is a real opportunity to contribute to processes that can positively impact the lives of hundreds of millions of people, restore the health and wellbeing of entire eco-systems and bring numerous species back from the brink of extinction," Ms Greenbury concluded. The Deputy Chair will be Mr Martijn Wilder of legal firm Baker & McKenzie. Help Shape Domestic and Family Violence Reform: NSW Govt. Minister for the Prevention of Domestic Violence and Sexual Assault Pru Goward today launched an 8-week public consultation inviting ideas from the domestic and family violence (DFV) sector, community groups and the public on ways to improve responses to victims and perpetrators of DFV in NSW. Ms Goward said the NSW Government is developing a DFV Blueprint to enhance its response to DFV, and she wants the public to have their say. “I look forward to working with the DFV sector throughout 2016 as we co-design and improve services for people affected by DFV. Ms Goward said input from the DFV sector and the public is vital for informing the future direction of services and support to help break the cycle of domestic violence. “I encourage everyone to have their say to help inform the way the NSW Government, service providers and the community respond to DFV,” Ms Goward said. The public consultation is part of a multi-stage consultation process, which commenced in September with peak government and non-government agencies. The Government has achieved significant DFV reforms this year including video evidence in courts; updating the mandatory NSW 7-10 PDHPE syllabus to explicitly include domestic violence; expanding Safer Pathway to a further four sites; funding community based Men’s Behaviour Change Programs and introducing plain English ADVOs. These reforms are further supported by a $60 million package announced in October that targets perpetrators and supports people who experience DFV. Do it all... or just do nothing. - 3642 on its last running day for 2015 providing shuttles between Sydney - Rhodes. Another video featuring 5917 heading to Kiama will be coming soon later on in December 2015. UNSW’s inaugural Anita Lawrence Chair in High Performance Architecture, Professor of Energy Physics Mattheos Santamouris. International built environment expert and Professor of Energy Physics Mattheos Santamouris has been appointed UNSW’s inaugural Anita Lawrence Chair in High Performance Architecture. The emerging research area looks at minimising the environmental footprint of buildings through enhanced architectural design and performance evaluation, including how ventilation, lighting, acoustics, energy and water can be incorporated into buildings to improve their efficiency. Announcing the Chair, the first of its kind in Australia, Dean of Built Environment Professor Alec Tzannes AM, said he was honoured to be naming a world-class leader in high performance architecture as the inaugural appointment. “Professor Santamouris’ contribution to the advancement of the design sciences is of global significance and truly exceptional,”said Professor Tzannes. Currently based at the University of Athens, Professor Santamouris is the Director of the Laboratory of Building Energy Research. He was formerly the President of The National Centre for Renewable and Energy Savings, Greece’s national body for the promotion of renewable energy sources and energy conservation. He is also editor in chief of Energy and Buildings, former editor in chief of the Journal of Advances in Building Energy Research and former associate editor of the Solar Energy Journal. He has been a visiting professor at the Metropolitan University of London, Tokyo Polytechnic University, National University of Singapore, Bolzano University, Brunel University London and the Cyprus Institute. The Chair has been established with a generous bequest from UNSW alumna and former Built Environment lecturer, Associate Professor Anita Lawrence. UNSW Chancellor David Gonski with UNSW's first female architecture graduate Associate Professor Anita Lawrence, whose generous bequest of half her estate will fund the Anita Lawrence Chair in High Performance Architecture. Associate Professor Lawrence graduated as the University’s first female architect in 1955, before beginning a 32-year teaching career at UNSW, where she specialised in acoustics and design. She was also one of the founding members of the Australian Acoustical Society. Associate Professor Lawrence said all built environment professionals should understand and value the practice of acoustics. “A person’s experience of a building can be drastically altered by bad acoustics – it’s imperative that architects, builders and landscape architects understand the importance of achieving optimal sound in a room or building,” she said. Professor Tzannes praised Associate Professor Lawrence’s generosity in funding the Chair. “Anita is one of our first cohort of graduates. Her considerable academic and international acoustic research accomplishments led to a long and distinguished career at UNSW. Professor Santamouris said his main aim as Chair is to mitigate the environmental impact of the built environment by decreasing the resources used by buildings. A “rich global dialogue” had opened up about how best to address these problems, Professor Santamouris said, and he believes Australia is highly developed in terms of its energy performance in the built environment. Professor Tzannes said UNSW is well placed to become an international leader in High Performance Architecture. “UNSW has always been a science and technology focused university. The Faculty of Built Environment now has the ability to capitalise on these strengths while drawing on the established expertise in our national innovation hub, the CRC for Low Carbon Living, and our City Futures Research Centre, Healthy Built Environment program and Liveability Laboratory. The NSW Government today announced the first of the Greater Sydney Commission appointments. • Geoff Roberts as Economic Commissioner. Planning Minister Rob Stokes said the Greater Sydney Commission would lead a new era of joined-up thinking in planning for the future of the nation’s only global city. “The new commissioners are renowned experts in their fields. I look forward to working with them in partnership with the community to ensure that, as Sydney gets bigger, it is also a better place to live,” Mr Stokes said. “I’ve never met someone more passionate about Sydney than Lucy. She will lead the Commission and be tasked with better coordinating delivery of the homes and jobs we need, as well as access to outdoor space and liveable communities. The Commission will be charged with developing and implementing district plans, determining regionally significant development applications and will act as the decision maker on rezoning proposals currently undertaken by the Minister. District Commissioners nominated by Councils within Sydney’s six planning districts are expected to be appointed in coming weeks. Lucy Hughes Turnbull AO is an urbanist, businesswoman and philanthropist with a longstanding interest in cities, and technological and social innovation. She chairs the Committee for Sydney and is Chairman of Prima BioMed Limited, an ASX- listed biomedical company undertaking clinical development for an immuno-therapeutic cancer treatment. She is currently a board member of the Turnbull Foundation and the United States Studies Centre and was on the board of Australian Technology Park 2005-15. She is Honorary President of the German-Australian Chamber of Business & Commerce. She was the first female Lord Mayor of the City of Sydney from 2003-4 and in 2011 she became an Officer of the Order of Australia for distinguished service to the community, local government and business. In 2012 she was awarded an honorary Doctorate of Business by the University of NSW. Heather Nesbitt has over 30 years’ experience in social sustainability, social housing, community infrastructure planning and social impact assessment. She has primarily worked on major greenfield and urban renewal projects, including public/social housing for government, non-profit and the private sector. Heather is committed to researching and delivering social outcomes which improve quality of life and well-being. She has significant experience in ensuring stakeholder and community consultation outcomes are considered in all projects. Roderick Simpson is Director of the Urban Design and Master of Urbanism Programs in the Faculty of Architecture, Design and Planning at the University of Sydney and Principal of simpson+wilson whose work ranges across architecture, urban design and strategic planning. In 2007 and 2008, as part of the SGS consortium, he led the urban design and spatial planning for the Sustainable Sydney 2030 plan. He has worked for Commonwealth, state and territory governments on metropolitan and regional planning, as Manager of Urban Design for the Sydney Harbour Federation Trust, and has won a number of urban design and planning competitions, both national and international. For twenty years he has been an active advocate of ecologically sustainable design principles. He was instrumental in the formulation of BASIX, the NSW Building Sustainability Index, and more recently worked with Kinesis on the development of a precinct wide sustainability assessment tool for Landcom, PRECINX, which has received both state and national planning awards. Geoff Roberts has 35 years’ experience in Australia and internationally. He is a specialist in city strategy, governance and leadership and currently holds an Adjunct Professor position in the City Futures Research Centre at the University of NSW. He is a highly regarded strategic advisor to a number of public and private sector organisations and has a deep history working in large metropolitan scale land use and infrastructure projects. Over the last decade Geoff has been involved on behalf of governments and the private sector in the key economic challenges facing cities, particularly around driving productivity, innovation in PPP delivery and value capture. He established and was a foundation director of Manidis Roberts for 25 years until its sale to the RPS group in July 2012. Assistant Minister for Science, Karen Andrews says the Agenda, launched today by Prime Minister Malcolm Turnbull and Minister for Industry, Innovation and Science Christopher Pyne, will drive investment into research and develop the scientific, mathematical and technical skills of the younger generation. "This Agenda will put science at the centre of the everyday; it will make science part of the national conversation in a way it has never been before," Mrs Andrews said. "It offers substantial new investment which will drive research, encourage the adoption of new ideas and bolster Australia’s scientific skills and research capabilities." The Agenda includes funding for the National Collaborative Research Infrastructure Strategy (NCRIS) facilities, the Australian Synchrotron and the Square Kilometre array – critical research equipment needed for cutting-edge science, totalling $2.3 billion over ten years. By providing this funding certainty, the Government is allowing scientists and industry to engage in long-term planning without fear of recurring funding cliffs and encourage greater industry investment. Mrs Andrews said the Agenda will continue successful initiatives like Inspiring Australia to encourage all Australians to engage with science, technology, engineering and mathematics (STEM). "The Agenda will equip young Australians with the skills to create and use digital technologies," said Mrs Andrews. "We are also focused on creating more opportunities for women in STEM by committing $12 million to encourage greater participation of girls and women in STEM studies and careers. "I will now talk to scientists and researchers to explain how this Agenda will help the scientific community and seek advice on how to best tackle some of the challenges ahead. "This Innovation and Science Agenda will further advance the great progress we have already made in the science community." As part of the National Innovation and Science Agenda released today by the Australian Government, CSIRO will establish an innovation fund to invest in the development of early stage technology opportunities from the public research sector, to increase their translation into commercial opportunities to be taken up by Australian industry. The Government announced it will provide $70 million over 10 years to a CSIRO-managed innovation fund aimed at bringing to market early stage commercial opportunities based on excellent science. This will be supported by an investment of new revenue from CSIRO's WLAN licencing and CSIRO will seek private sector investment to form a fund of approximately $200 million. CSIRO Chief Executive Dr Larry Marshall said the fund will be a bridge to de-risk science and meet industry 'half way' with a 'beta', an investable proposition that industry can more comfortably take to market. "When the customer isn't buying the product the entrepreneur doesn't waste time blaming the customer - they change the offer," Dr Marshall said. "This commitment will enable us to get some of our great science to market much more rapidly. "Having a fund focused and administered close to the sources of invention and research is ideal for generating the innovation Australia needs. "The fund will bring intense focus to high growth potential opportunities and at the pace that markets demand." Part of the Government's National Innovation and Science package is the announcement of $5 million per year to expand CSIRO's accelerator program to include other publically funded research organisations, accelerating a broad range of research for commercial adoption. In addition to this CSIRO has received $25m per year increased funding dedicated to its data science efforts through Data61. Data61 has a mission of unleashing the potential in Australian industry, specifically focusing on cybersecurity, data analytics, a data research network to link business with researchers, and improving the data literacy of Australian business. The fund and accelerator are intensive hands-on operations focussed on deal creation and lifting scientists' abilities in the fundamentals of customer first, product market fit and value creation by innovation. These opportunities will help improve translation of publically funded research into commercial outcomes, increase digital capability and stimulate innovation in Australia. Want to make sure your business is at the cutting edge of innovation? Find out more about how you can do business with us. The NSW Government has stripped raw milk marketed as ‘cosmetic’ or ‘bath’ milk from the shelves of a number of Sydney health food shops following recent inspections. As part of ongoing actions to address the sale of raw milk, the NSW Food Authority has enacted a range of proactive monitoring and compliance activities, which included the seizure of approximately 68 litres of unpasteurised dairy products in the Sydney area. Minister for Primary Industries, Niall Blair, said retailers are on notice that claims the product is used for bathing will not wash.
“While there are no food businesses in NSW licensed by the NSW Food Authority to produce raw milk for cosmetic purposes, we know that some retailing businesses are sourcing this product from elsewhere to sell it,” Mr Blair said. “Raw milk is a high food safety risk – the sale of raw milk for human consumption is illegal in Australia and this kind of farcical deception won’t be tolerated. It was apparent to the NSW Food Authority that the sale of raw milk products at these premises was not for cosmetic reasons. Results from samples taken from the recent product seizures showed elevated levels of E.coli present; proof that the risk is real. Unpasteurised milk contains harmful bacteria such as E.coli, Salmonella and Listeria that can result in illness or even death. The NSW Government will continue removing raw milk from NSW shelves. Random checks of retailers will continue, in line with the Food Authority’s policy of escalated enforcement. Another area of focus is the practice of ‘herd sharing’, where a person enters into contract and purchase shares in a herd or individual cow to receive raw milk produced by that herd. Claims that this does not constitute the sale of food are false, the operation of a herd share arrangement can constitute food for sale under the Food Act 2003. Milk for sale in NSW needs to be licensed with the NSW Food Authority to ensure it is subject to the stringent safety requirements of the Dairy Food Safety Scheme. If anyone is aware of raw milk being sold in NSW they are encouraged to report it to the NSW Food Authority on 1300 552 406. Recent research has transformed archaeologists' understanding of Angkor Wat and its surroundings. View over Angkor Wat from the west, looking towards the Kulen hills; the extent of one quarter of Greater Angkor is indicated by the distance between Angkor Wat and the north-eastern outer edge of the urban complex near the grey line of the base of the hills. Image: courtesy of Mike Coe. The University of Sydney’s Professor Roland Fletcher and Dr Damian Evans lead the Greater Angkor Project in Cambodia, a major international research collaboration which is using airborne laser scanning (LiDAR) technology, ground-penetrating radar and targeted excavation to map the great pre-industrial temple.